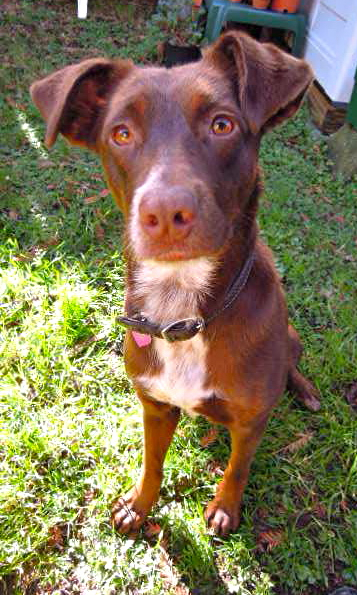 SUNNY BRAE – One-year-old Kelpie mix Ella suffered an accident in her youth, and her leg didn’t heal properly (Eye, Feb. 27). It was going to break again, and had to be amputated March 14 at a cost of $1,000. But who cares about some orphaned dog with a game leg? Arcata does. 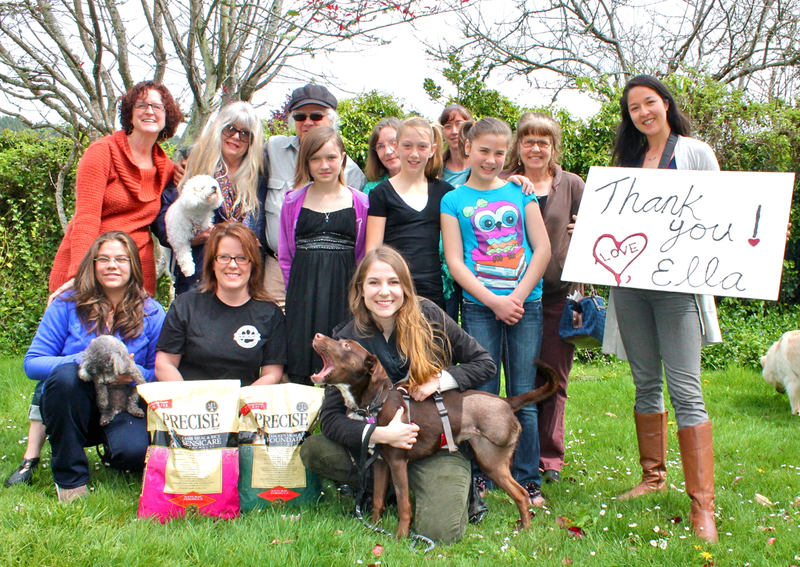 The Sunny Brae Companion Animal Foundation (CAF) shop received approximately 96 donations from individuals, families and collection jars, reflecting over 100 wonderful community members’ contributions to Ella’s cause. 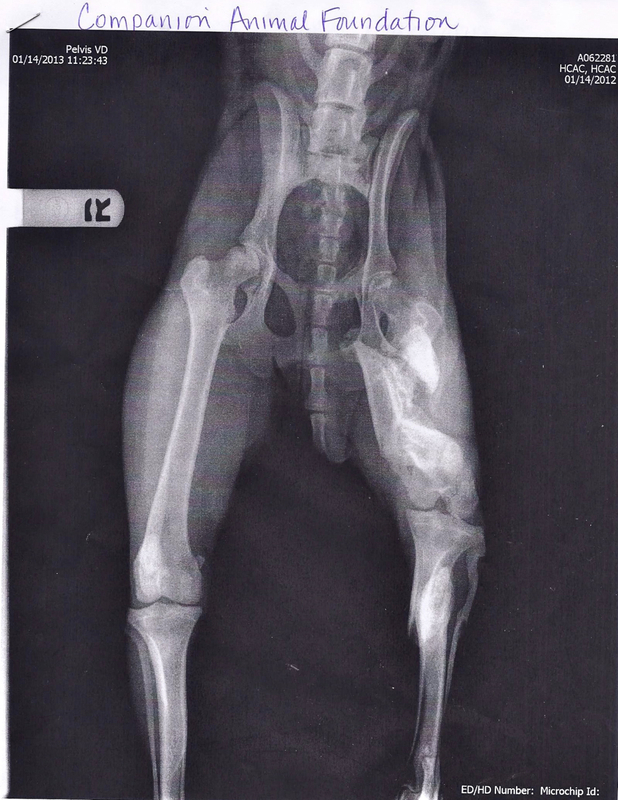 CAF was able to set up an Ella Fund to help other animals who face emergency medical situations. Northern California Pet Supply & Grooming will donate a year’s supply of dog food to whomever adopts Ella – that’s a 20 lb. bag every month. The acts of compassion and kindness don’t end there. 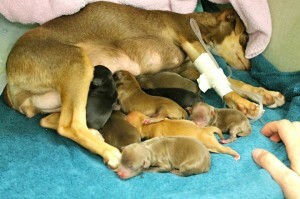 Friday, CAF posted a photo of Carmen, a very small dog who had eight puppies via a c-section. The puppies need to be supplemented with goat’s milk every four hours in order to keep Carmen strong and healthy. Goat milk is nutrient-rich and more digestible for puppies than is milk from cows. Carmen and her hungry puppies. In a matter of minutes, world-renowned and Arcata-based cheesemaker Cypress Grove Chevre responded with a supply of fresh goat milk for mama Carmen. The need goes on at CAF. Those wishing to help can bring any donations to the store or donate online at cafanimals.org/donate. (707) 826-7387, 88 Sunny Brae Center. This entry was posted on Thursday, April 11th, 2013 at 1:15 pm	and is filed under News, Community. You can follow any responses to this entry through the RSS 2.0 feed.